The kids and I found a cool how-to pop-up card book at the library. 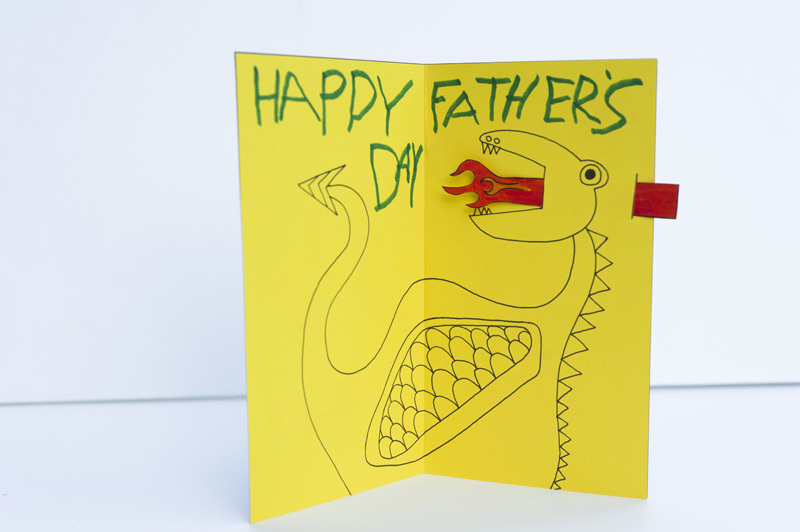 So this Father’s Day, we’re making animated fire breathing dragon cards for the grandpas! 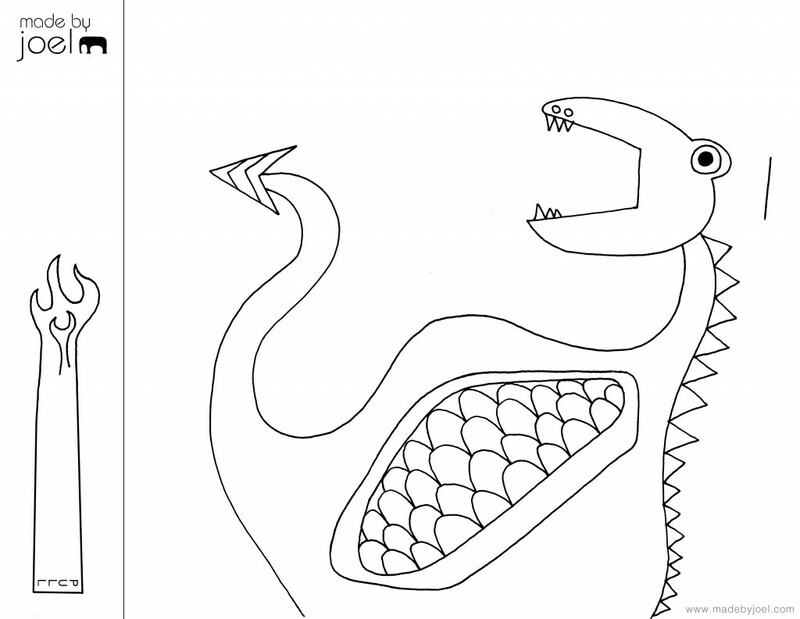 I drew a dragon out and the kids wrote on it, then tomorrow they’re going to color it in. Sweet! If you want to get in on the action, below are simple instructions for how to make one yourself. And if you’re pressed for time, I made a printable template too. Hope you all have a great Fathers Day! 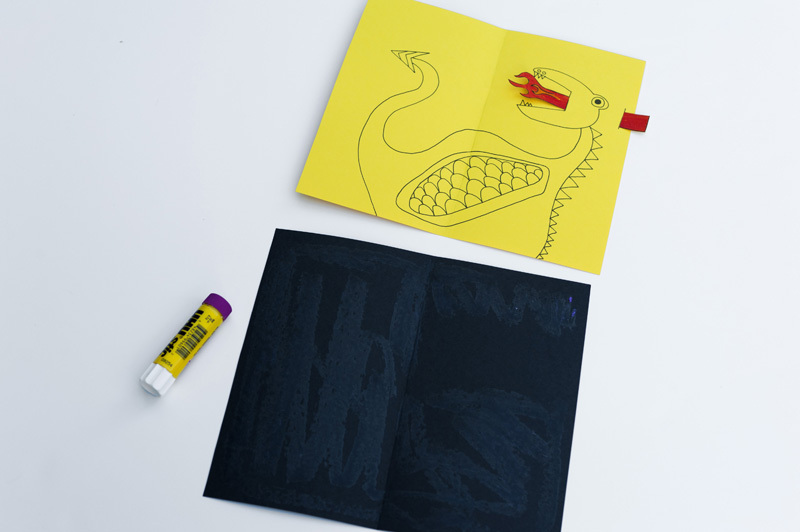 Print out the template, or create your own drawing. Cut off the left edge and color in the fire. 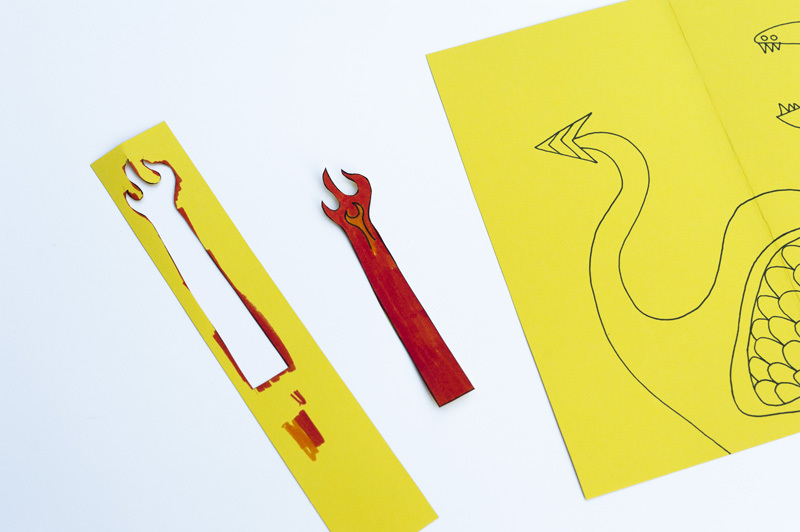 Fold the card in half, then cut two slits where the fire piece will be inserted. Insert the fire into the two slits. 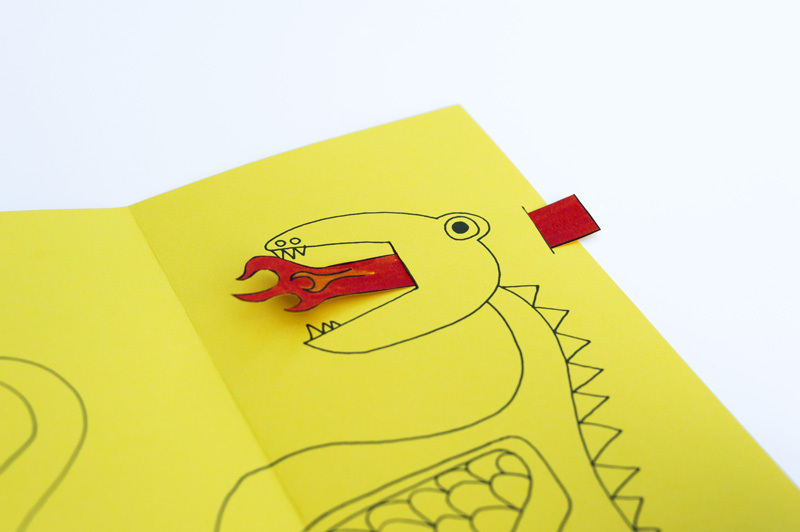 Lay the dragon card onto the glued cover and press firmly. Fold in half, and put a book on it for awhile to allow glue to dry. Then behold the fire breathing dragon! Thanks everyone! And yeah, year of the dragon! I almost forgot. Nice! 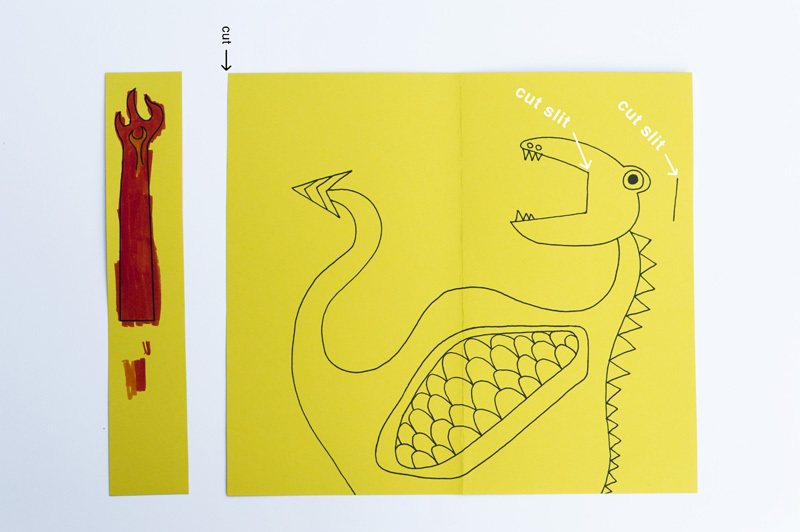 Wow, she created an amazing color design with the dragon! It's beautiful!! DIY fête du Super Papa : masques+ carte + enveloppe! My boys had fun tracing your template using the window. Made for their own unique variations! Thanks! Good idea! We are inspired and we made ​​a greeting for our dad too. Thanks for the tip. http://letitia-tiba.blogspot.sk/2012/06/vikend-v-znameni-lasky.html Greeting from Slovakia. Letitia. Wow, that looks great!!! I like the green background for the card. Nice!! My daughter (turning 5) loves dragons. We're doing crafts at her party and this will be awesome!